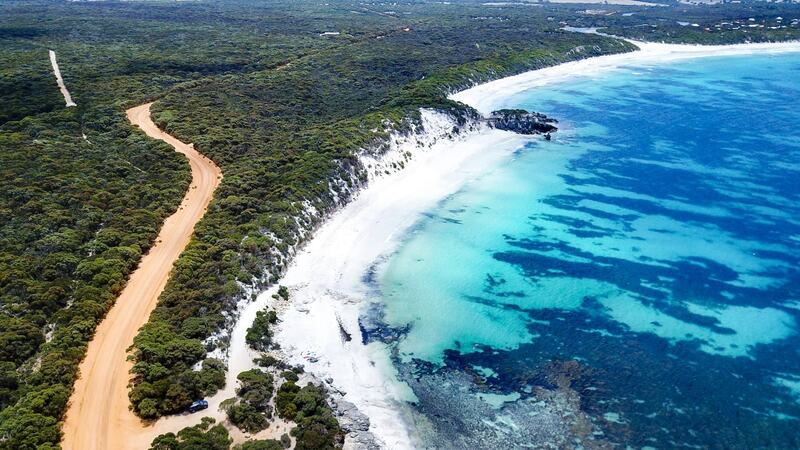 Kangaroo Island is definitely one of Australia’s best kept secrets. Found just off the coast of South Australia, KI offers visitors beautiful deserted white sand beaches, native Australian wildlife and remarkable landmarks unlike anything else. 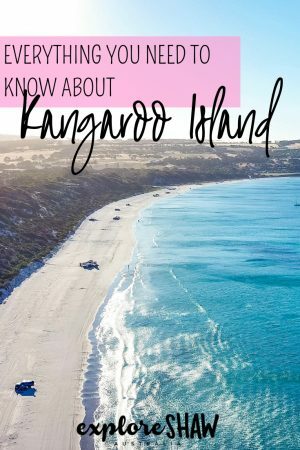 Despite being a tiny island, you would never imagine the amount of different landscapes you will find on Kangaroo Island. 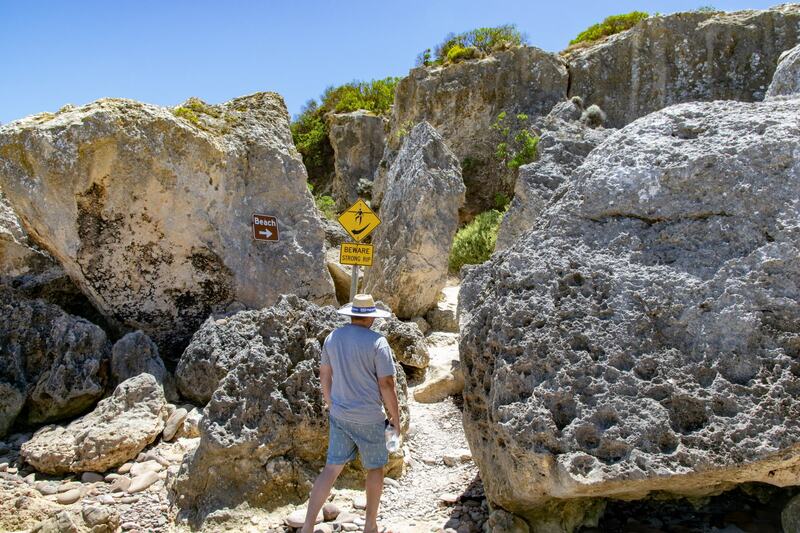 From soaring cliffs and dense national parks to towering sand dunes and untouched white sand beaches, there is something different around every turn. 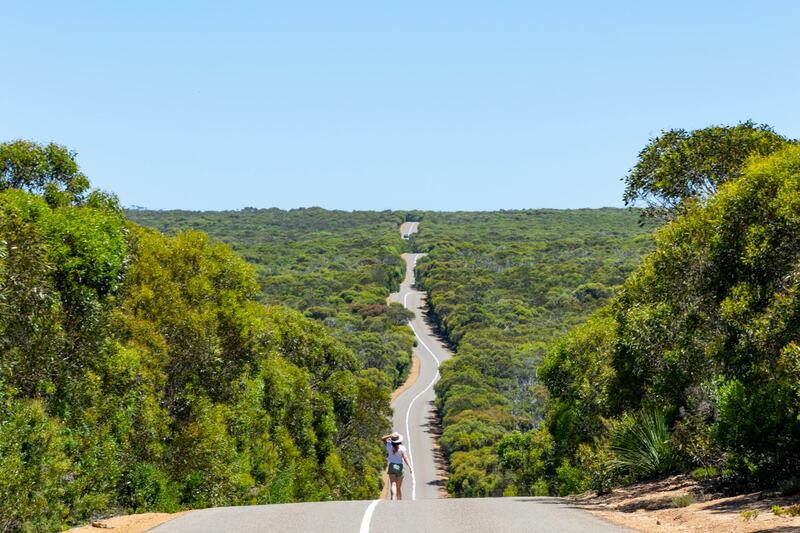 The size of Kangaroo Island is often underestimated, so don’t be fooled before you get here. It takes two hours and twenty minutes to travel across the whole island, from Cape Willoughby in the east to Flinders Chase National Park at the west end of the island. From north to south it only takes about 45 minutes, from Stokes Bay to Vivonne Bay. Make sure you take account for enough driving time when you’re planning your trip, because you really won’t want to miss any corner of KI! Kangaroo Island have a vehicle and passenger ferry service called SeaLink, which operates daily (with the exception of Christmas Day) between Cape Jervis on the mainland of Australia and Penneshaw on Kangaroo Island. The ferry crosses between KI and the mainland several times a day, generally every 45 minutes to an hour. The ferry crossing takes about 40 minutes and it’s a very good idea to book your tickets in advance, especially if you’re visiting during the peak season. A return ticket to Kangaroo Island on the ferry costs $98 AUD per person, and taking your car across will cost $196 AUD for the return trip. If you’re travelling with anything extra, like a caravan or boat trailer will also cost an additional $196 AUD. The guys at SeaLink put vehicles on the ferry like artwork, filling up every spare space in the vehicle carrier. When you’re booking you will need to provide details of your car including the make, model and length, as well as the specific dimensions of any other caravans or trailers you’re taking on board with you. If your car is over 5m you will also need to give them a call to book it in on 13 13 01. Check out their fares page here for a full breakdown of all fares. There are regular daily flights to Kangaroo Island, departing from Adelaide Airport, and touching you down on KI in just 30 minutes. The airport on KI is just out of Kingscote, which is one of the main towns on the island, and the perfect place to base yourself if you want to be close to the shops, cafes, supermarket and petrol stations. Rex Regional Express offers flights to and from Kangaroo Island and Adelaide Airport. QantasLink also offer a direct service from Melbourne Airport. 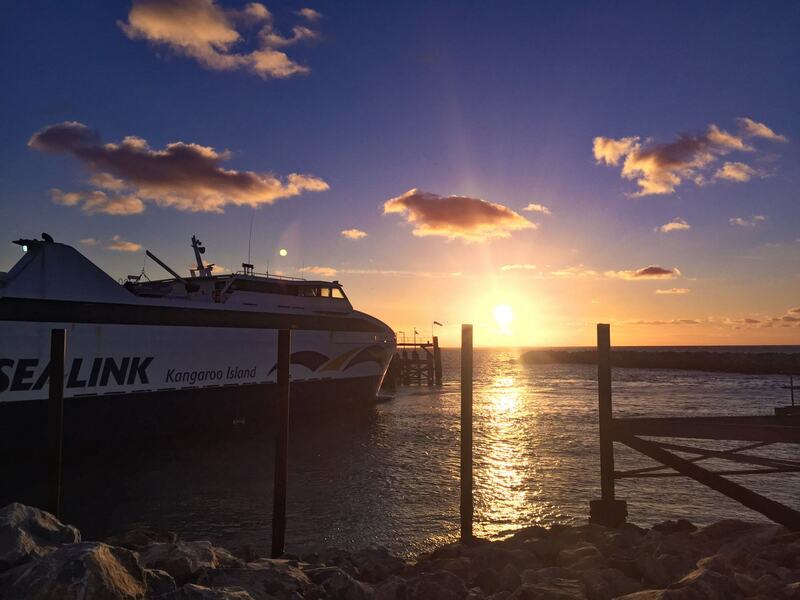 Mainland coach connections are also available twice daily to and from Adelaide to Cape Jervis, to meet up with the SeaLink ferry. Coach transfers from Goowla and Victor Harbour are also available three times each week. 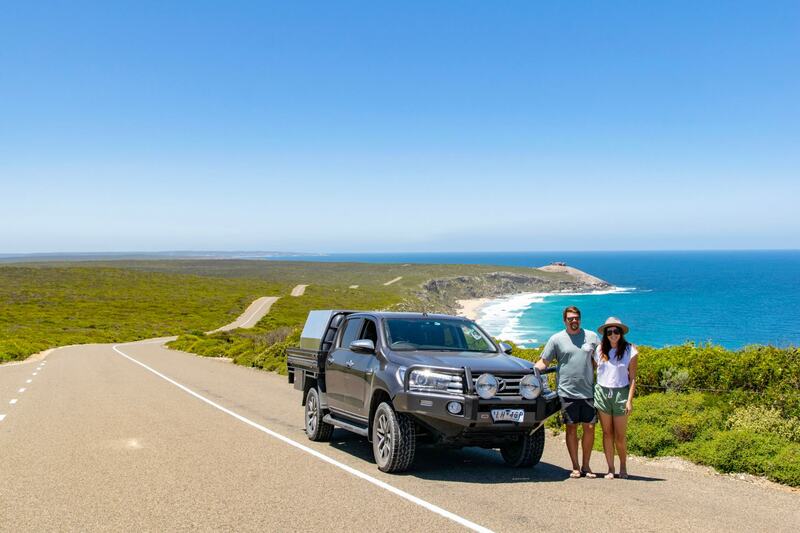 By far, the best way to get around Kangaroo Island is by exploring with your own car. This gives you the freedom to explore anywhere you want, at whatever time you want and see every nook and corner of the island you would like. You can bring your own car across to Kangaroo Island on the SeaLink ferry, as detailed above, or you can rent a car from Budget or Hertz either at the Kingscote Airport or at Penneshaw when you get off the ferry. There are several unsealed roads around the island, that take you to some of the best beaches and hidden spots. If you’re renting a car, make sure there are no issues with taking a rental car onto these roads, as many of them have policies and limitations around sealed and unsealed roads. Petrol stations are few and far between around the island, so before you head out for the day always make sure you have enough fuel to keep you going. 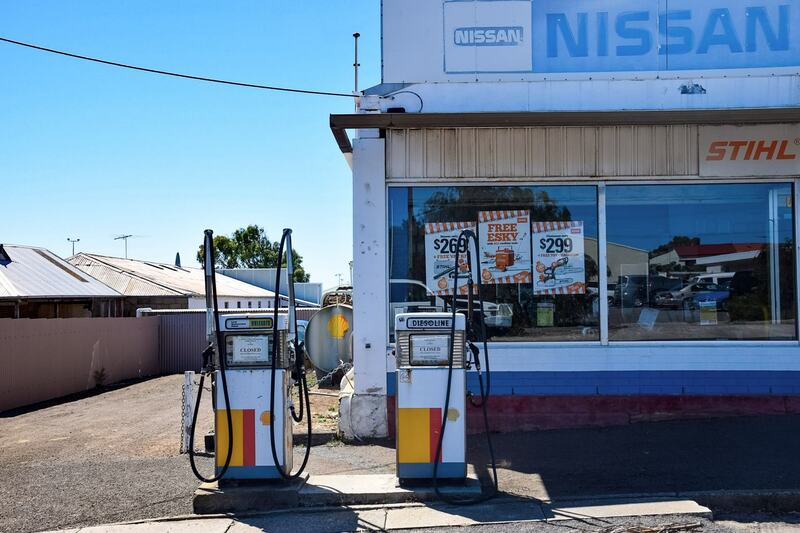 The main fuel stops can be found in Kingscote and Penneshaw, with smaller stations available at Vivonne Bay, Parndana, and KI Wildnerness Retreat (near Flinders Chase National Park). 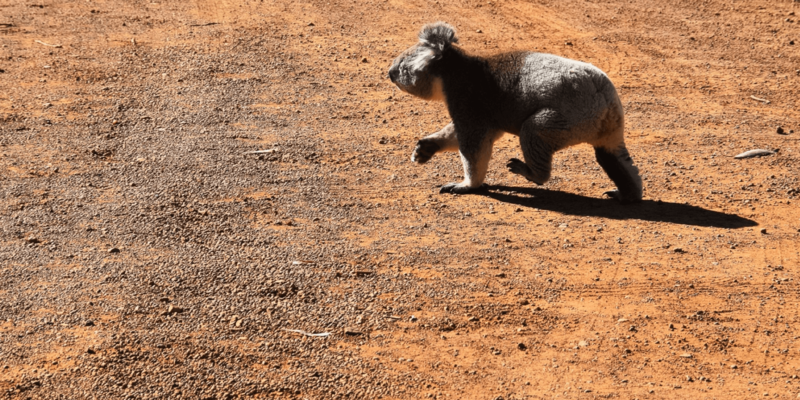 When you’re driving around Kangaroo Island expect to see a lot of wildlife around the island, and be prepared to stop suddenly if you need to. 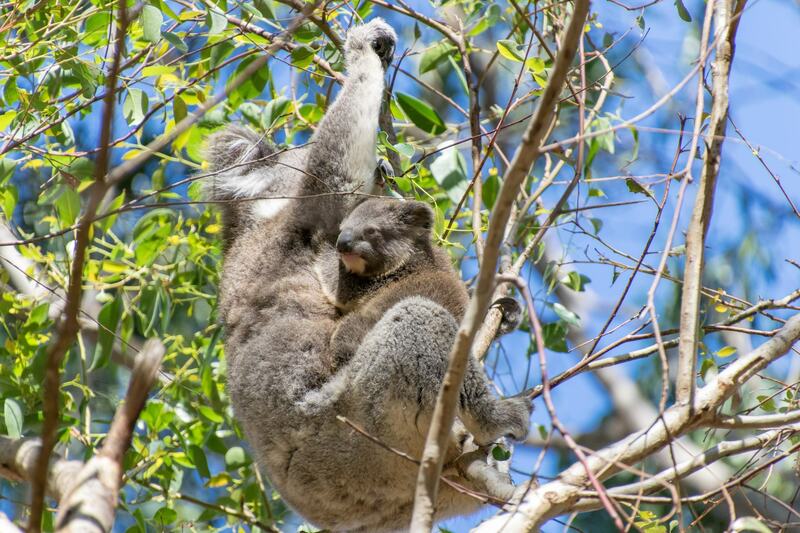 KI is home to all kinds of wildlife, including kangaroos, wallabies, goannas, koalas, echidnas and snakes that might be unexpectedly crossing the road, so keep your eyes peeled. 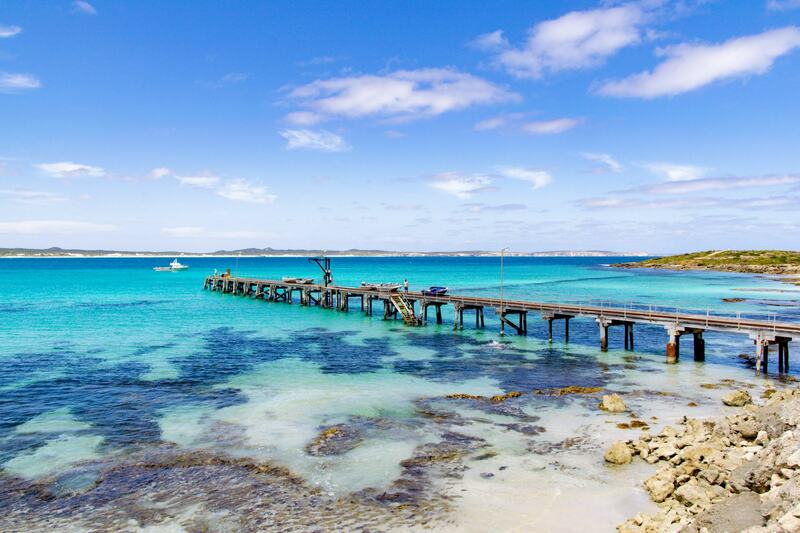 There are actually seven regions on Kangaroo Island, which all offer different accommodation options, beautiful landmarks and iconic attractions. Kangaroo Island offers accommodation options for every budget. There are several campgrounds around the island that offer powered and unpowered campsites, including facilities for caravans. Here’s a quick breakdown of the different regions and their campground facilities. 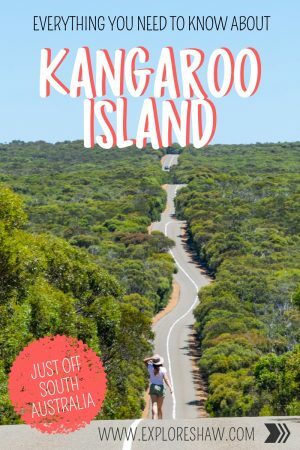 The main town on Kangaroo Island, Kingscote is where you can find petrol stations, the best supermarket on the island (shout out to Drake’s Foodland), cafes, souvenir shops, the island’s airport, restaurants, and everything else you might need. 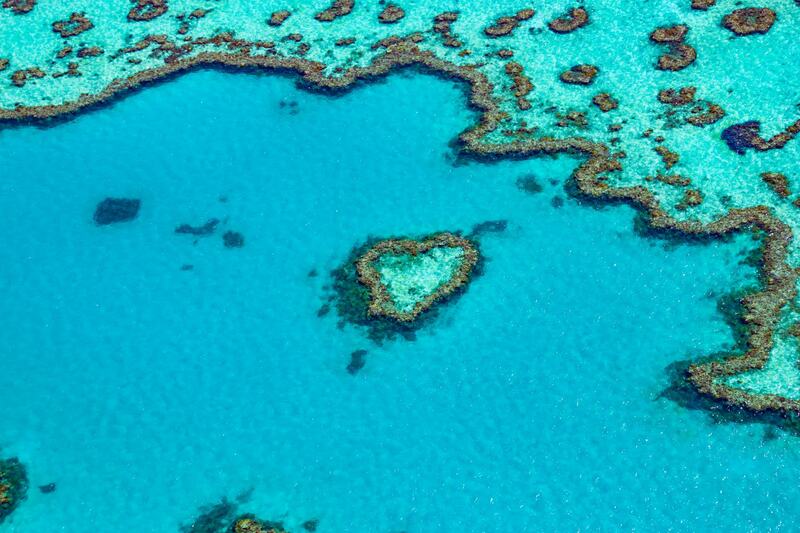 In this area you will also find Brownlow, Bay of Shoals and Cygnet River. 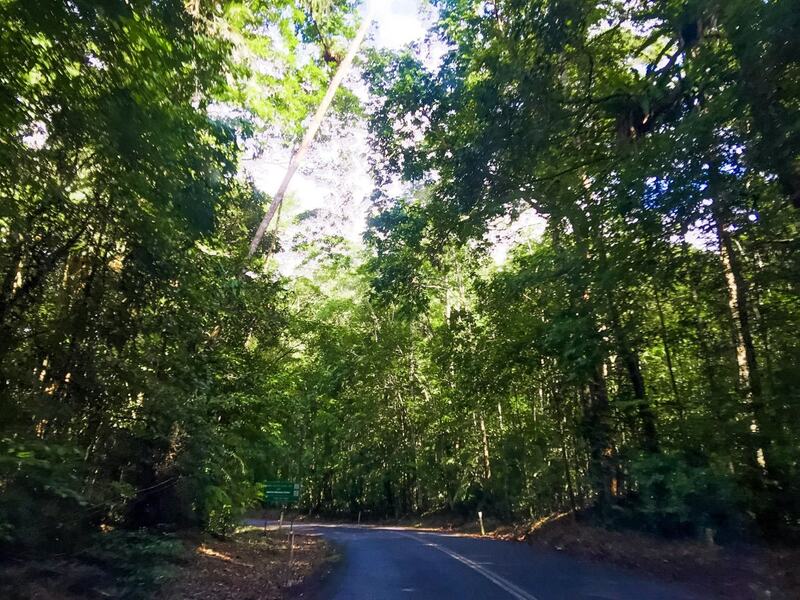 There’s no campground in Kingscote, but there are lots of hotel, hostel and holiday park accommodation options around the area, as well as lots of holiday houses to rent if you’re travelling with a larger group. 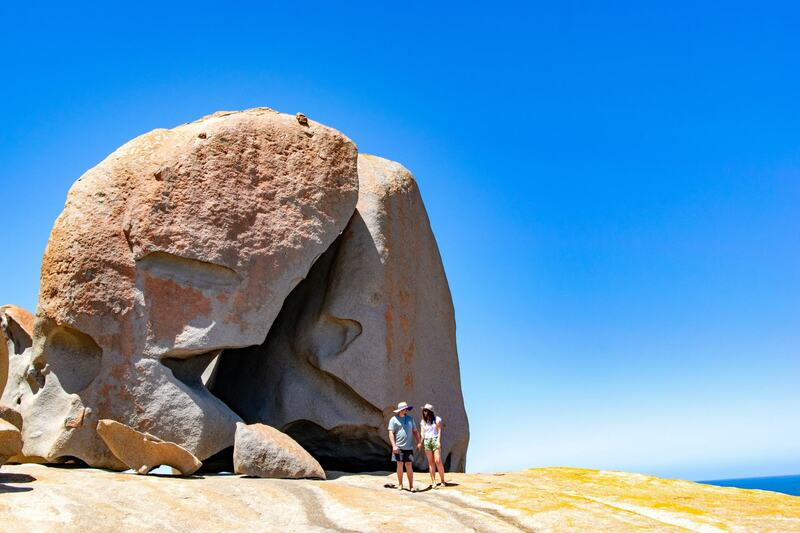 The whole Western End of the island which is where you will find Flinders Chase National Park, home to beautiful attractions such as the Remarkable Rocks, Admirals Arch and Cape Borda, as well as Hanson Bay sitting just outside the National Park. The Western River Campground offers powered sites, toilets, a BBQ and beach access. 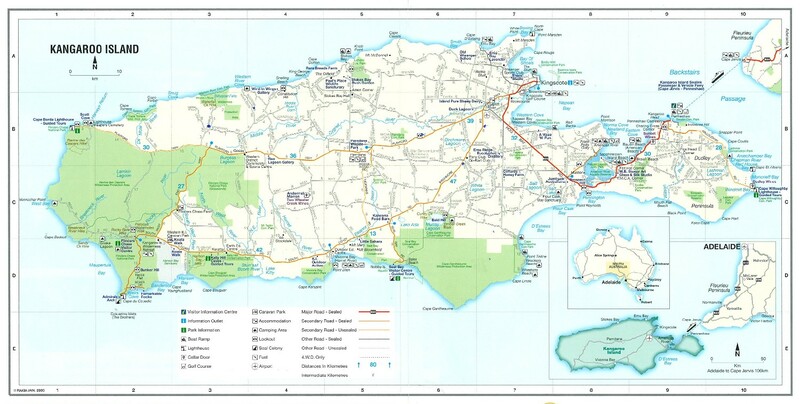 Stretching the whole southern side of the island, the South Coast is where you can find Vivonne Bay, Murray Lagoon, Seal Bay, D’estrees Bay and Cape Gantheume Conservation Park. 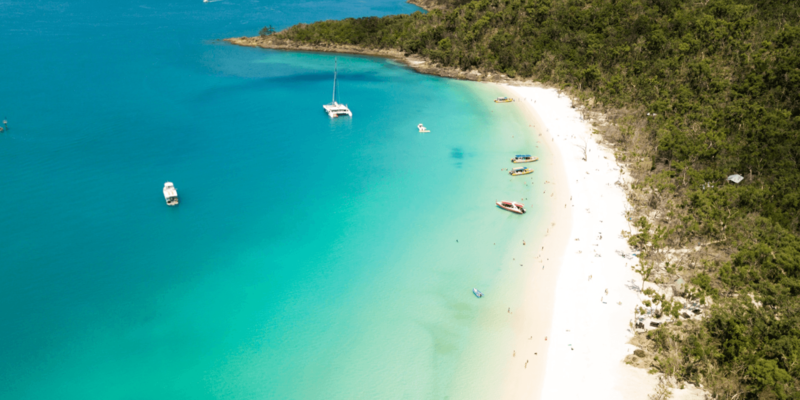 One of the most beautiful campgrounds on the island, the campground at Vivonne Bay offers powered and unpowered sites, toilets and showers, a BBQ, playground and beach access. 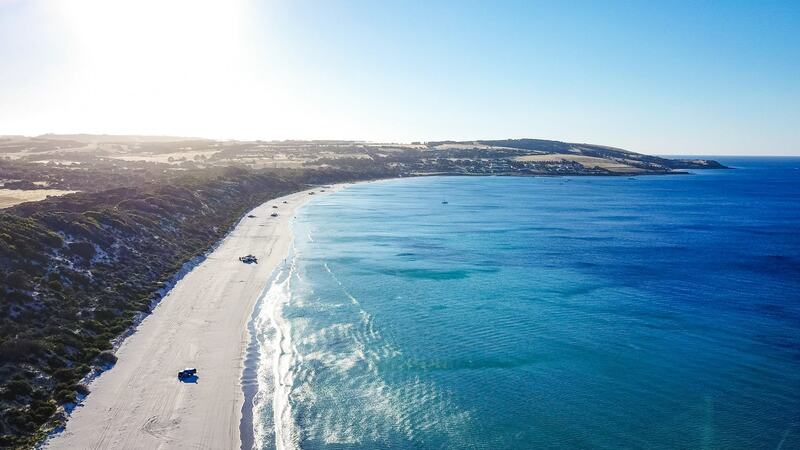 Some of the prettiest beaches on the island live on the North Coast, including Emu Bay and Stokes Bay. On the North Coast you can also find Smith Bay, Cape Cassini, Snelling Beach, Middle River and Western River Cove. Emu Bay is a tiny town, with no shops or even running water, but there is a campground in the area with unpowered sites available. There are toilet facilities, a playground and a BBQ, as well as a boat ramp nearby, but not right in the campground. The top of the island and the first place you will land if you’re coming over by ferry. This little region is often overlooked by the bays of the North and South coast, but there are some hidden gems in here as well. The Dudley Peninsula also includes Island Beach, Baudin Beach, Brown Beach, Cape Willoughby and Antechamber Bay. You can find a campground at Brown Beach which includes unpowered sites, toilets and showers, a BBQ and beach access. 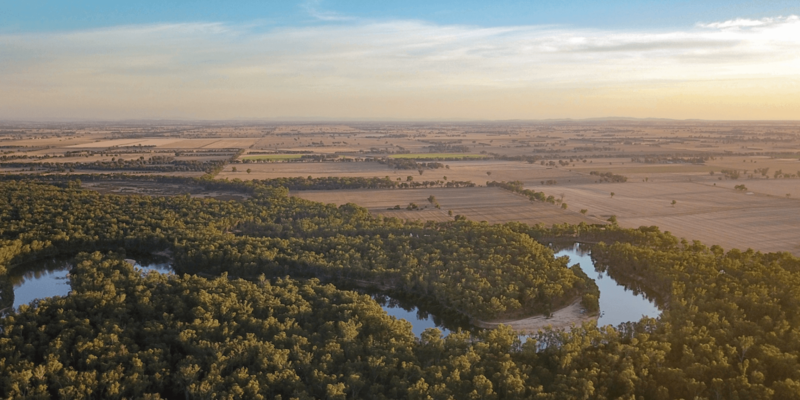 Sitting kind of inbetween the two main towns of Kingscote and Penneshaw, American River is a little more of a local residential area, home to more rivers and inlet and less of the beaches you might have come to visit. The American River region also includes Pelican Lagoon and Pennington Bay. The campground at American River includes powered and unpowered sites, toilets and showers, a BBQ, playground, beach access, a boat ramp, charging point for electric cars and dump point. The campground is probably the main option to stay in the American River region and costs from $17 AUD per night for an unpowered site. The dead centre of Kangaroo Island, there’s not a lot here except for the little rural town of Parndana. There are lots of amazing food and wine options in this region of KI, as well as lots of history about the settlement of the island. 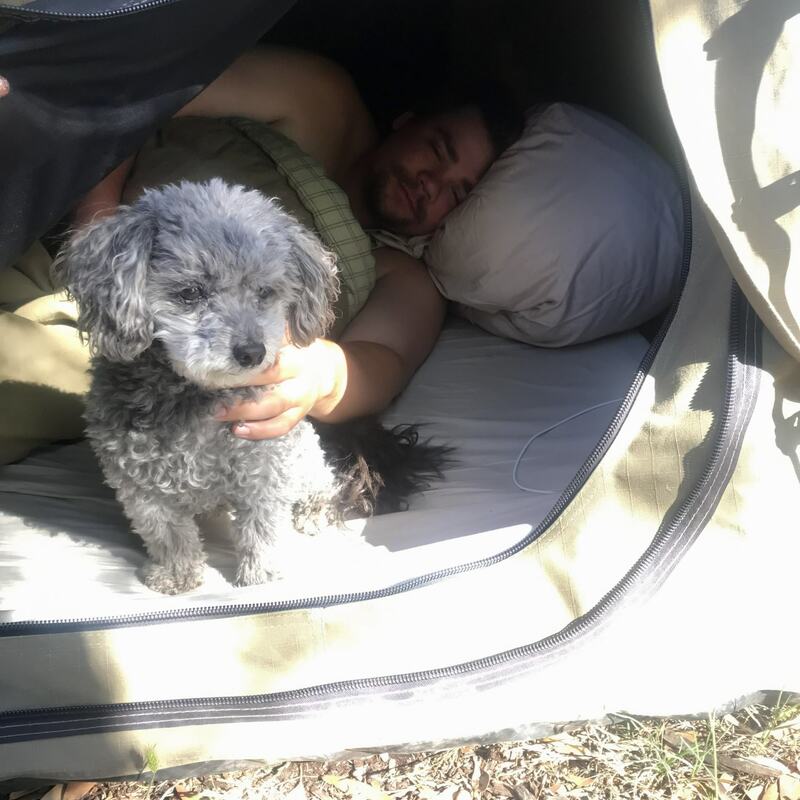 All of the campgrounds around the island are also pet friendly, so you can bring your dogs along. Fees apply for each location and are made onsite via a self-registration booth. You can’t make bookings for the campgrounds, so spots are offered on a first come first served basis. 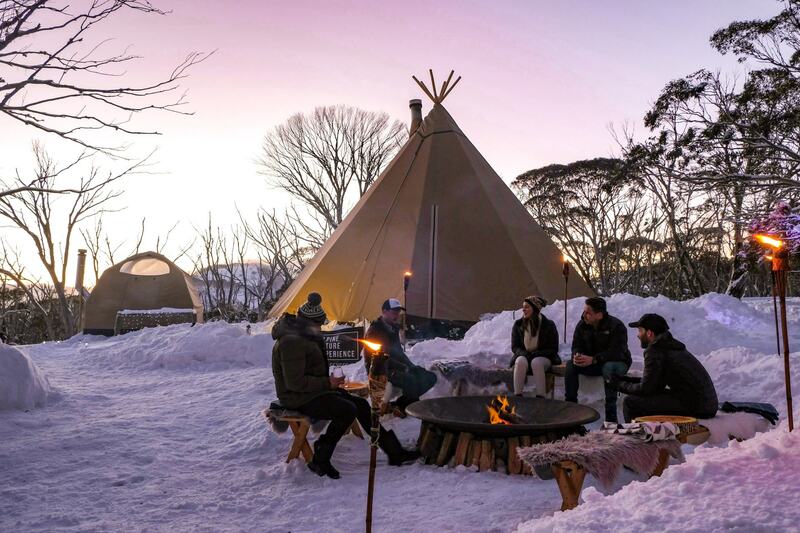 If you would prefer to stay in actual accommodation there are all kinds of options across Kangaroo Island, with everything from hotels and hostels, to holiday park cabins and holiday house rentals available across the island. There are also some pretty unique accommodation options on KI, such as staying on a working farm, a treetop hideaway right on the beach, or in a luxury private beach house on the mountains of a deserted part of the island. It is very important to book ahead, especially if you are visiting in peak summer seasons from October through to March. The island is a lot more remote than you might expect and there are not endless amounts of accommodation available. It is possible for the whole island to be completely booked out over Christmas time and the summer school holidays. Dinner reservations at restaurants are also a good idea if there’s somewhere you really want to eat. Stock up on wellness products at Emu Bay Lavender Farm – my favourite is the sleep balm, it works wonders! Make sure you pop in to the Kangaroo Island Gateway Visitor Information Centre for all the information you could need for your visit to KI. Visitors Centres are a great place to find out about tours and experiences, can’t miss places to check out and pick up so brochures with information on the region. On KI you can find the Visitors Centre pretty much right when you get off the ferry, on Howard Street, Penneshaw. They’re open from 9am to 5pm Monday to Friday, and 10am to 4pm on weekends and public holidays. Or check out tourkangarooisland.com.au for more info.